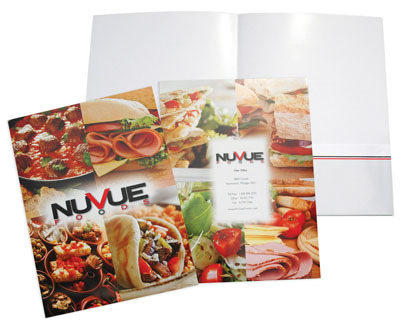 Project: Create brand identity for NuVue Foods. 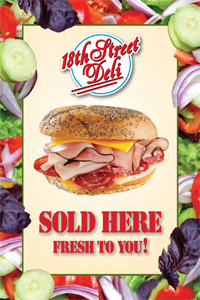 With new branded product line introductions and encouraging industry response, 18th Street Deli expanded operations and rebranded as NuVue Foods. 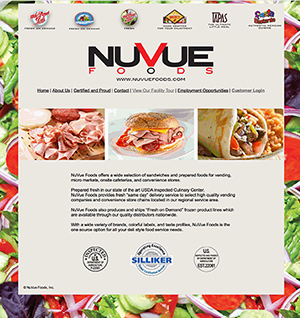 Projects included a corporate brochure and banners for trade shows and distributers; window clings, POP danglers and posters for consumer retail locations and website that needed to be informative, distinctive, and professional with secure login/online ordering. This required designing the new corporate logo and website, with the print material development to be completed first to shape the branding. Positioning Results: We created the new corporate logo and logos for the corresponding product lines. For the pocket folder, we used stock photography for full visual appeal as the exact packaging for each brand was not in place. The pocket folder won a design award fro Graphic Design USA. The website was created and launched in July of 2013.